ABOL is an environmentally conscious, hand made collection from Vancouver, Canada. 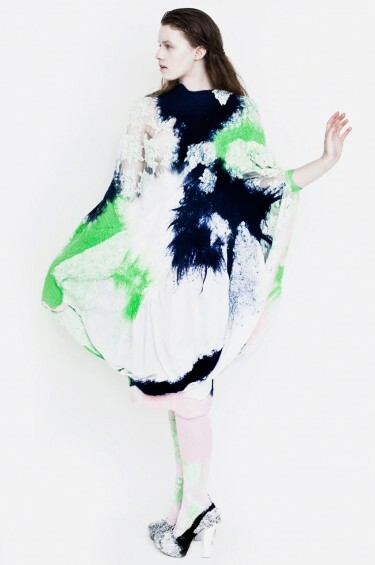 Hamideh Abol creates one of a kind wearable art, constructed predominately from raw wool, silk and cotton fiber. Each one of her designs incorporates intricate surface detailing and texture. Combining vintage fabric, re-used silk, and recycled leather, Abol employees natural, low impact dyes with ingredients such as fruits, flowers and found objects. Her unique felt making employs organic soap, and incorporates elements of traditional Persian felt making, along with lessons from European and North American felt artists. Her creative inspiration revolves around surrealist paintings and sculptures. A graduate from the Emily Carr University, with a degree in Fine Art, Hamideh developed an interest in Textile Art while studying, where she became captivated by the beauty of natural fibers, and intrigued by felting. Debuting her first collection in 2011, Abol was selected to show during Montreal Fashion Week. Selling around the world, Abol undertakes custom orders and one of a piece wearable art made on a one by one commission basis. 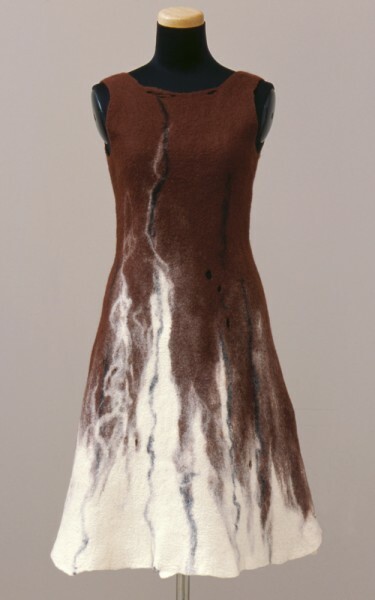 Lithuanian brand Vilte, has been experimenting with felting techniques since 2006, and specializing in innovative and modern felting realized through a wide variety of all natural materials.